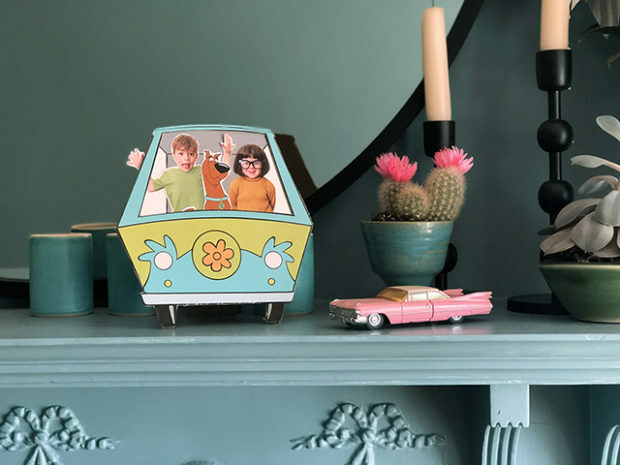 We’ve teamed up with kids’ channel Boomerang to design a DIY project featuring Scooby Doo. 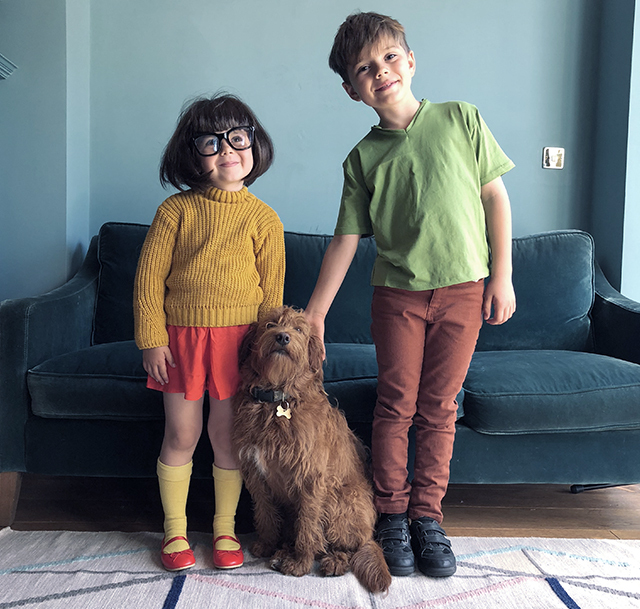 The kids are being featured in some of their social media ads, so I made them some Shaggy and Velma costumes, and we borrowed our friend’s labradoodle Hermoine to play the part of Scooby. Zoiks! 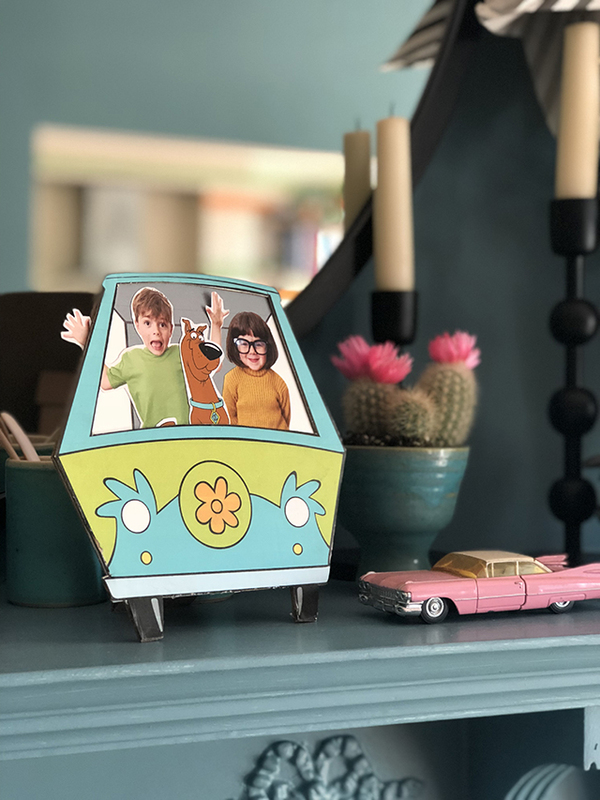 We’ve designed an easy project that you can download to make a cute Scooby Doo picture frame. 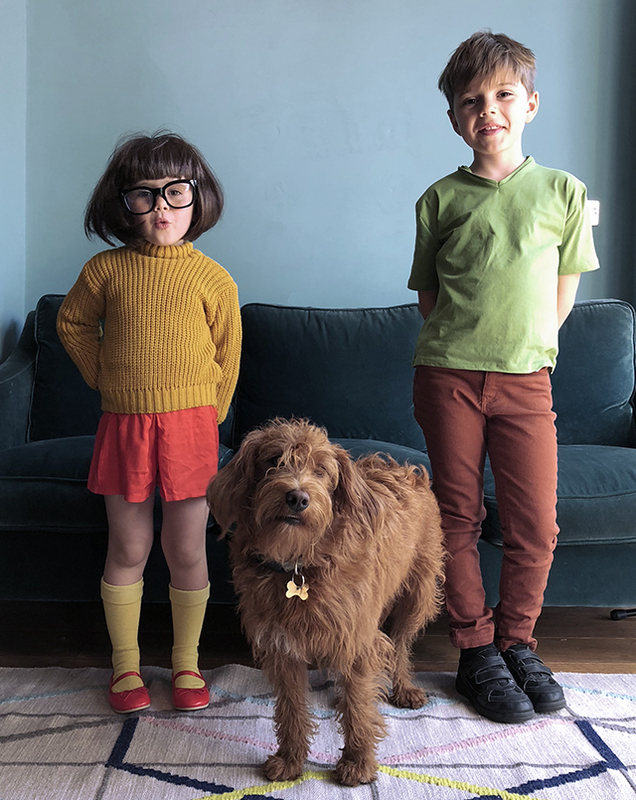 Watch the video to see how to make it. 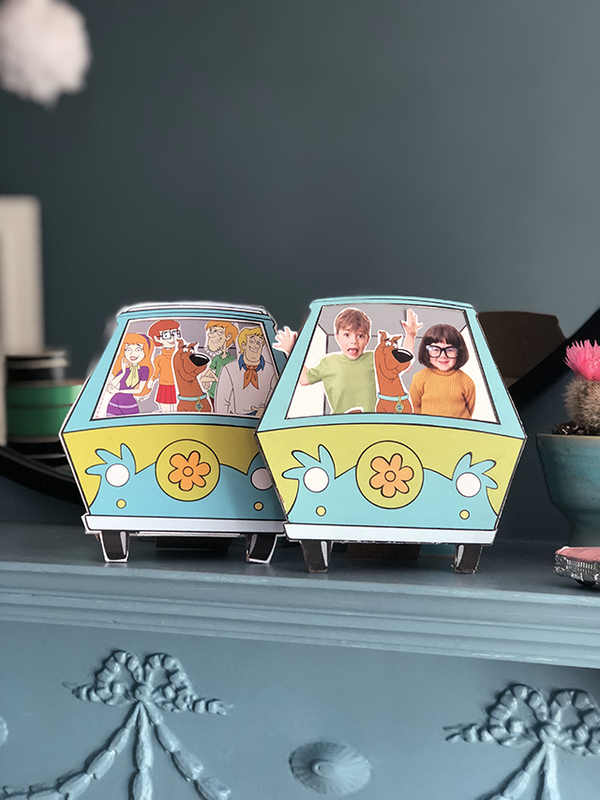 You can add pictures of yourself so you are in the van with Scooby, just like we did, or just use the characters from the show on the templates. Download the templates here.. There are loads of other fun craft projects on the Boomerang site, check it out if you are looking for some school holiday activities. Print outs of the templates. Download the templates here.. Stick the front section of the van on. Leave it the glue to dry before you stand it up.